Delightful blossoms caressed by beautifully curved leaf steams adorned with 24 karat gold create an enchanting ambiance at your property. 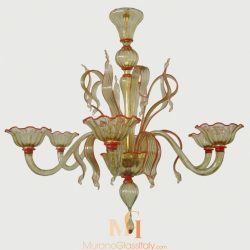 This glass chandelier lighting does not only show a tasteful interior style, but conveys the romantically refreshing feeling of flower fields in spring. 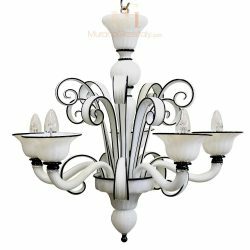 Gracefully curved and hand crafted arms are illuminated and looking like a perfect bouquet. 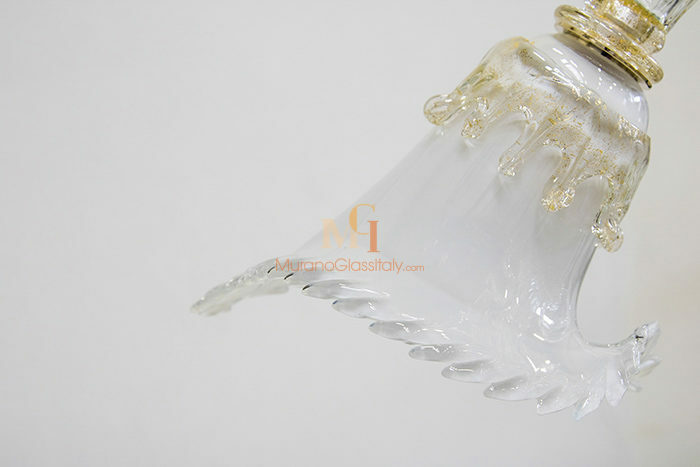 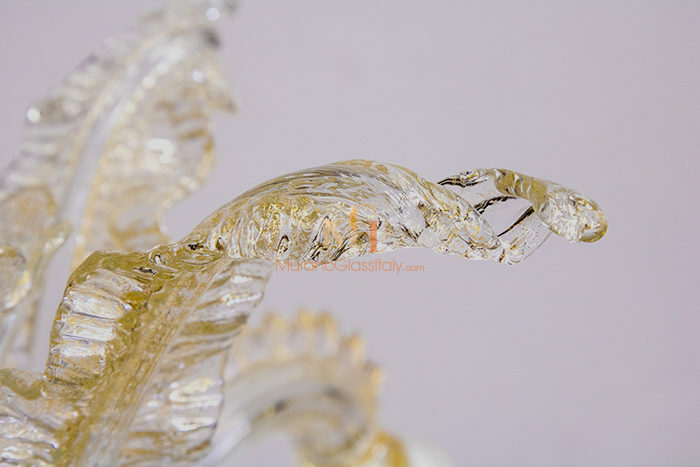 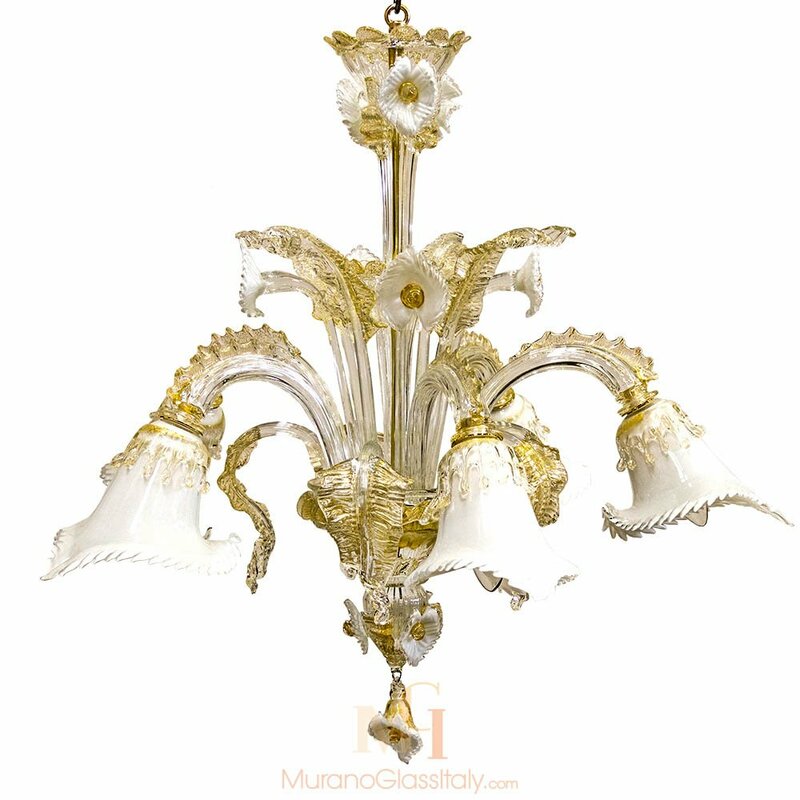 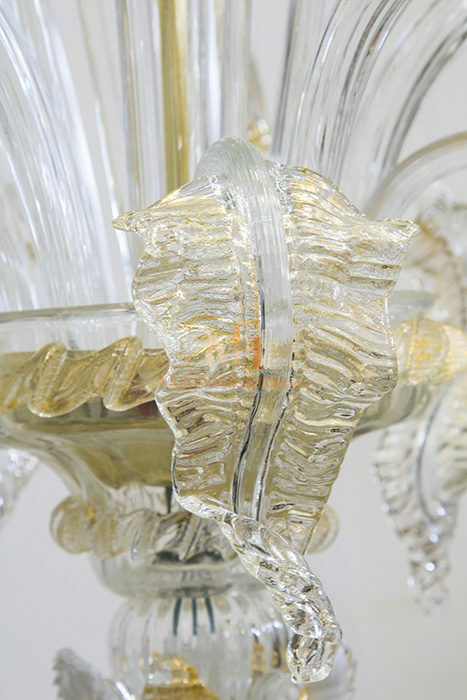 The chandelier is a 100% traditionally handmade art piece from the lagoon of Venice, Italy. 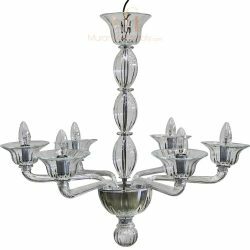 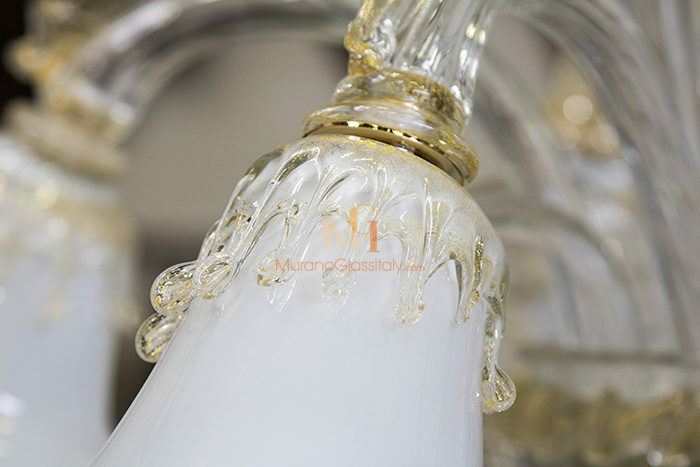 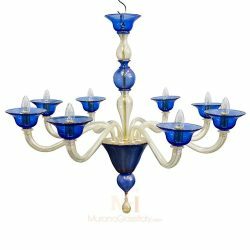 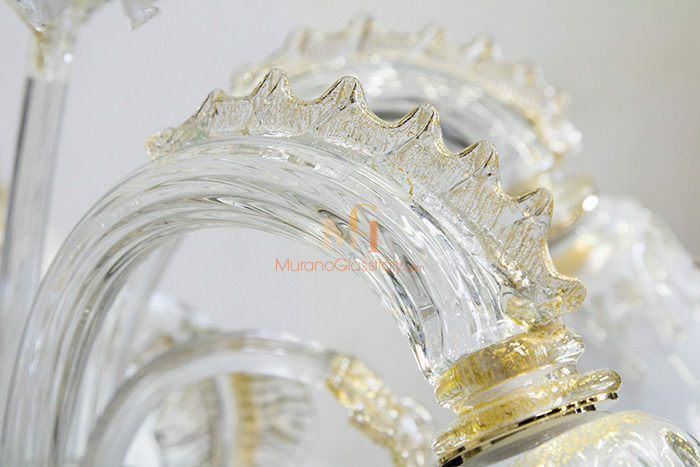 The displayed glass chandelier lighting can be customized in the number of lights and colors to fit your interior perfectly, for more information contact us at customer@muranoglassitaly.com.